Ever see an umbee like this? A deal for some Dovii fry netted me six 3" blacks and 3 mag- X umbee. Last edit: 5 years 9 months ago by bassetman. Need videos when they settle in!!! THOSE WHO REFUSE KNOWLEDGE ARE DOOMED TO FAIL. WATER CHANGES ARE THE LIFEBLOOD OF THIS HOBBY. IF YOU DON'T BELIEVE SO OR SIMPLY DON'T FEEL LIKE DOING THEM, RE-HOME YOUR FISH, SELL YOUR AQUARIUM & FIND ANOTHER HOBBY, AS YOU WILL FAIL UTTERLY, COMPLETELY, & MISERABLY. Well Tom, I dont think I've ever seen 90% of the fish you show. But its an education for sure. Gotta say though, that aint one of my faves. I bet the offspring would be in high demand though. I may not be the Boss, but I'm ALWAYS right! 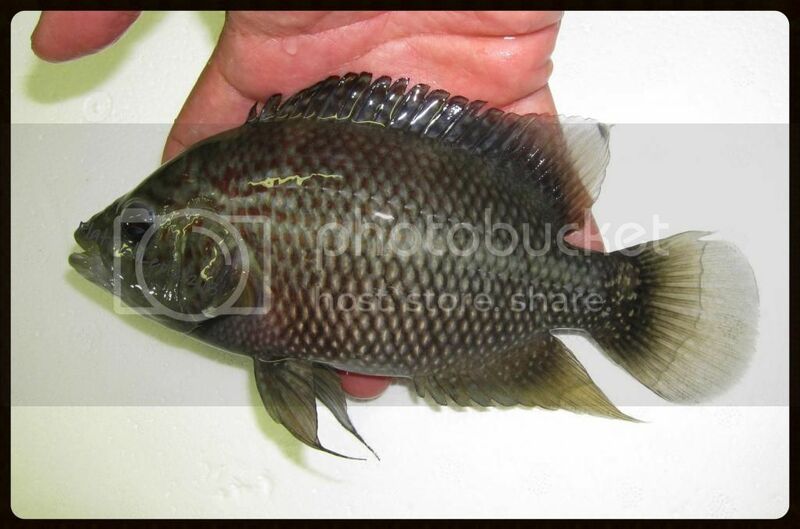 When adult they are deep black with red freckles females are pale pinkish and dark fins. I wil get parent pics these are f1 from they very few wild adults. The body f the gorillus is thicker and taller than a standard rio mag umbee. They are said to out grow regular umbee in speed and it is not known if they get bigger but it is highly suspected..I want these to start breeding just as these things take off. I already have the blue gorillus strain growing out. is there anything this man cant do / get ?? I do not have tank space for a Baggie of neons just now.......how many BAP points on the whale shark ?